Say Bonjour to Sophie la Giraffe soft toys for baby. 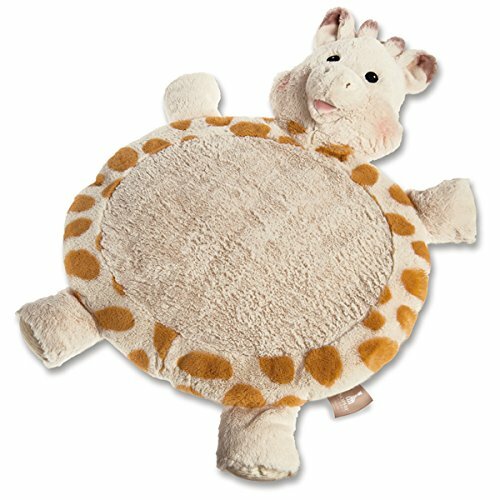 Officially licensed, absolutely authentic, Sophie la Giraffe baby mat has stitched eyes for total softness, and a wide snuggly tummy just right for your sweet little one's playtime and tummy time. Great for supervised time on a safe floor area at home or on the go, mat folds easily for travel or storage. Conveniently machine washable; gentle cycle and air dry recommended. Share Sophie la Giraffe, the beloved giraffe cherished by babies since 1961, with modern moms and their babies. Brought to you by Mary Meyer- making toys that are safe and fun since 1933. Known for using unique, beautiful, and incredibly soft fabrics. Mary Meyer continually strives to design extraordinary products of outstanding quality. Look to Mary Meyer for the best in baby shower gifts and soft toys for children.